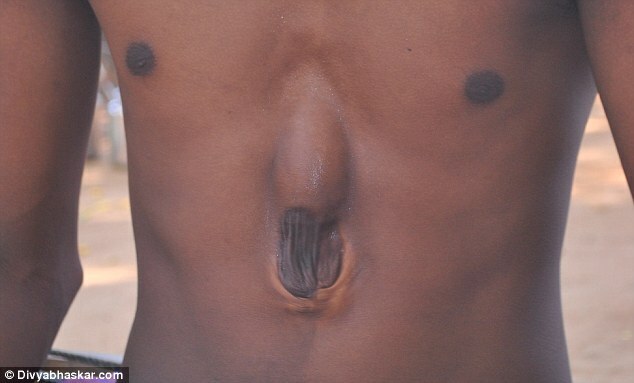 Extraordinary footage has emerged of a man born with his heart outside his rib cage, beating under just a thin layer of skin. The video is of Arpit Gohil, whose parents were told he would almost certainly die when he was born with the extremely rare condition. Now 18, the boy in the video is being hailed by doctors as a 'medical miracle', who say a slight fall or bump could kill him instantly. 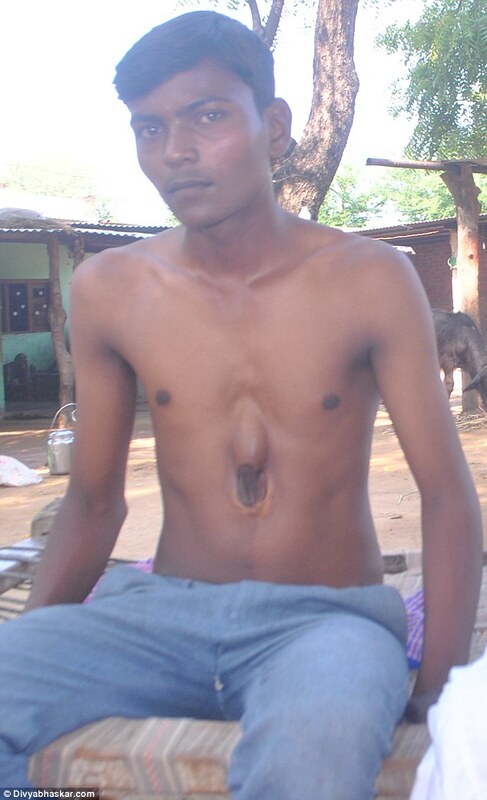 Known as Pentalogy of Cantrell, the rare condition affects foetus development and causes babies to be born with vital organs (such as the heart or intestines) on the outside of their bodies. Most children with the condition would be treated with kid gloves, wrapped in cotton wool and refrain from unnecessary risks. 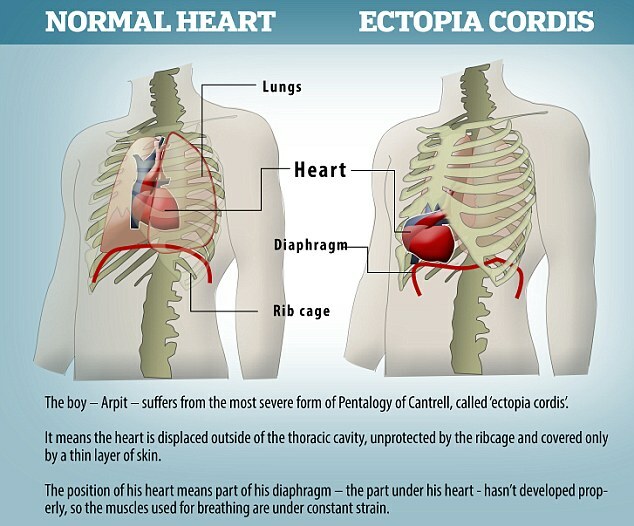 But Arpit, who was born with the most serious form of the disorder known as 'ectopia cordis' of which there are just 165 known cases, is no ordinary man. 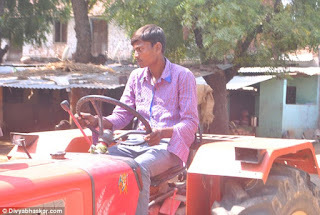 Growing up, he appeared like any other boy, climbing trees and driving a tractor on his father's farm 40km from Ahmedabad, in Gujarat state, India. ‘I don’t have any problems, and have got used to living with the condition now,’ he told Indian news site Daily Bhaskar. However because part of his diaphragm doesn't work, the rest of the muscles are working overtime. This means that any other infection he might pick up, such as pneumonia, would be much worse for him than for a normal patient. Dr Sanjeeth Peter, director of the Nadiad-based DDMM Heart Institute, warned that Arpit could die at any second. ‘He has learned to cope with the defect but he is very vulnerable, and we don’t know how much longer he can continue living as he does at the moment,’ he told MailOnline. ‘But if he slips and falls, or he is bumped, it could do serious damage. Pentalogy of Cantrell disorder affects the development of a foetus’ abdomen, and can involve the sternum, the diaphragm, the thin membrane that lines the heart (pericardium), the abdominal wall and the heart. Doctors estimate the defect affects just 5.5 in every million live births. 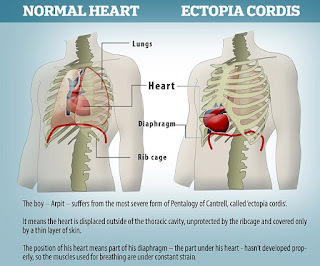 When the disorder affects the heart, it is known as ‘ectopia cordis’. This sees the heart either completely or partially displaced outside of the chest cavity - so it is not protected by the chest wall. In turn, this means the heart is incredibly vulnerable to damage as it is only covered by a thin layer of skin. Because the heart has developed outside the rib cage, the infant’s chest cavity is normally too small and underdeveloped for the heart to be corrected immediately, so the child must spend its first few years under constant medical supervision. Pentalogy of Cantrell can also lead to underdevelopment of the lungs, breathing difficulties, and blocked blood vessels. Infants are also at risk of developing widespread internal infections of the abdominal cavity. Although it was first described in 1958, the exact cause of the disorder is still unknown. Most cases occur completely at random, although several family cases have been reported - leading some researchers to suggest genetic factors may play a role. The oldest known survivor of ‘ectopia cordis’ is Christopher Wall, born in Philadelphia in August 1975. Only 50 known cases have reached the age of 12, with most dying just hours after birth. 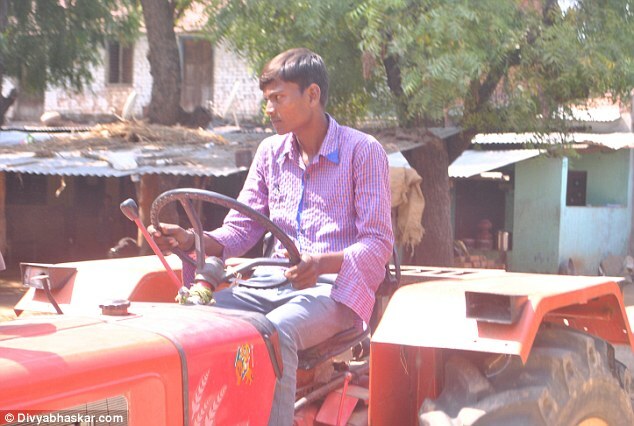 As soon as their son was born at home in Chhapra, India, in 1997, Arpit's s parents took him to hospital in Nadiad after becoming aware of his serious complaint. 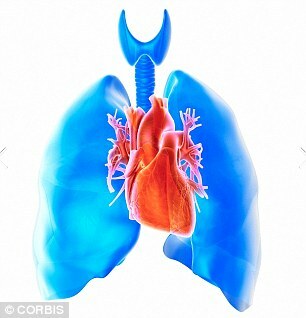 Doctors thought he had been born with two hearts, but a sonograph revealed he had one heart outside his rib cage. They told his parents Arpit had almost no change of survival. But his father, Vikrambhai, revealed: ‘Since he was little, my son has never experienced any complications. Now Arpit is considering having an operation to move his heart into its correct position after reading of a similar case of a girl in China. On examining Arpit, Dr Peter discovered five defects including an abdominal disorder above his belly button and a defect inside his heart. ‘He is OK for the time being,’ said Dr Peter. ‘But he could develop respiratory problems or circulatory problems at any time, because the problem is putting so much strain on his body.